Two years ago, Section 6A experienced a geographical switch, moving from a section dominated by communities just west of the Twin Cities up the I-94 category toward the Northwest corner of the state. From Orono’s big run through the section in the early 2000s, it instead became the playground of the powerful Little Falls program, which qualified in each of the last two seasons as part of a five-year run (the first three years in Section 4A). The Flyers were tested each year by Alexandria, but the Cardinals fell just shy each time. Now might be their turn. Little Falls graduated five 100-point scorers (including the state’s all-time leading scorer, Ben Hanowski) and goaltender Michael Sperl from its dynasty. The Flyers are extremely young, relying on many freshmen and sophomores, and are just a No. 6 seed. Top-seeded Alexandria (18-5-1) is the favorite to break through and was on an 11-game winning streak entering the regular season finale at Moorhead. The Cardinals are an experienced crew, led by a host of top seniors, including leading scorer Thomas Williams and standout defenseman Kirby Nelson. One of the biggest question marks entering the season was who would replace All-State goalie Matt Hemingway, but Erich Murphy has been solid in 19 starts, with a goals against average under 2.00 (1.87) and a saves percentage over .900 (.915). The Cardinals will get a stiff test from Central Lakes Conference foe and No. 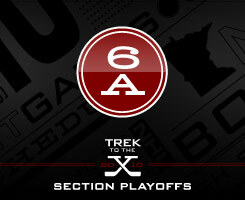 2 seed Sartell-St. Stephen (16-7-2). The teams tied 5-5 on Dec. 19 before Alexandria claimed the top seed with a 4-1 victory on Feb. 4. The Sabres have great scoring balance among its top lines, with five players scoring double-digit goals – and that doesn’t include leading scorer and playmaker Andrew Deters. Third-seeded Fergus Falls (10-10-3) had lost four straight games entering the season finale against No. 5 Willmar (13-10-0) and needs to get some momentum to build a playoff push. The Otters also lost all three meetings with the top two seeds, scoring only two goals in the process. They only average 3.26 goals per game and will need to get some production outside of leading scorers Lucas Gervais, Derek Kinder and Adam Heifort, all of whom have 14 goals. It may be a year early for Willmar’s playoff run, as the Cardinals are paced by three high-scoring juniors in Grant Schow, Liam Johnston and Gabe Amon. 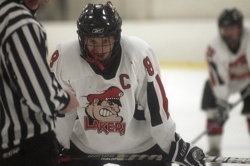 But watch out for Detroit Lakes (15-8-2), as the fourth-seeded Lakers have arguably the most talented player in the section in Tanner Lane and great coaching from Chris Denardo. A true dark horse could be No. 7 Northern Lakes (17-8-0), which is on an eight-game winning streak thanks to the Chambers family (senior forward Cody Chambers, freshman defenseman Connor Chambers and their father, former NHLer and coach Shawn Chambers). What? Another Hanowski? Believe it. In fact, Little Falls has two more, including sophomore forward Joey Hanowski and junior defenseman Hunter Hanowski. Neither has the scoring power of their older relatives, but they are two of the most experienced players on a Flyers’ roster loaded with freshmen. The scoring power has now moved into the other programs in the section, paced by Detroit Lakes’ powerful and quick Tanner Lane, who is tied with Joey Benik for the state scoring lead with 90 points. Alexandria leans heavily on its top scorer, senior Thomas Williams, who has 30 percent of the team’s goals. Sartell-St. Stephen is much more balanced, led by senior Austin Plaine’s 16 goals. Defensively, it’s an interesting contrast between Alexandria’s strong and skilled Kirby Nelson, precocious freshman scorer Connor Chambers from Northern Lakes and rugged Nick Zierden of the Sabres. Need some athleticism in the nets? Sartell goaltender Brent Orndorff is a terrific all-around athlete who earlier this month signed a letter of intent to play wide receiver at St. Cloud State. He was a key member of the Sabres’ state tournament football team and also is a sprinter who set school records in the 400- and 800-meter relays. Wadena-Deer Creek and goaltender Tyler Muehler might not be around long as the No. 11 seed in an 11-team section, but it’s tough to fault the senior. He’s faced an amazing 983 shots in 23 games and still managed to keep his save percentage above 90 percent. Muehler has already had two games this year with 61 saves (both 5-1 losses). The Cardinals have been waiting, perhaps not so patiently, for their shot at the state tournament. After running into the Little Falls wall for many years, this looks like their best shot. Alexandria is experienced, talented and earned the top seed by defeating the other Section 6A teams. It looks like coach Scott Woods will get that first state bid in his fourth year at Alex, but they’ll have to go through Sartell-St. Stephen in the finals, not the Flyers. We’re digging deep for the seventh-seeded Lightning, who finally were placed where they felt they belonged after a few years in Section 8AA. Now back with the smaller schools, coach Shawn Chambers and the team are anxious to show they can have success with programs of a similar size. If they can pull a few upsets, it most likely will be on the strength of Chambers' sons Cody and Connor and sniper Sam Johnson.